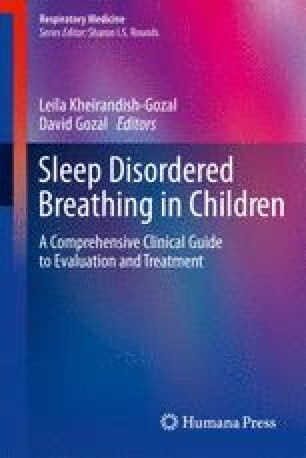 The spectrum of sleep-disordered breathing (SDB) is a construct that is universally considered when discussing diagnosis, treatment, and outcome of SDB. This spectrum of clinical severity of the disease is presumed to range from habitual snoring to obesity hypoventilation syndrome, including upper airway resistance syndrome (UARS) and obstructive sleep apnea syndrome (OSAS) of varying grades of severity. Diagnosis along the spectrum is commonly based on clinical perception, history, and physical findings, which are subsequently validated by the golden standard; i.e., overnight polysomnography (NPSG). Newer technologies or alternative ways to assess SDB, and more specifically, to gauge the SDB spectrum are increasingly being developed. These diagnostic approaches extend from objective to more subjective instruments. Our data-driven approach uncovered a spectrum of SDB severity clusters in children that can essentially be summarized and allocated into six distinct phenotypes.